Basic Criminal Law: The Constitution, Procedure, and Crimes, Fourth Edition, offers a comprehensive, well-organized approach to understanding key legal concepts and to developing the essential skills and hands-on experience students will need as they enter the legal profession. The text's teaching resources include an Instructor's Manual, PowerPoint lecture slides, and a Test Bank. Teaching and Learning Experience * The text is rich with features that guide students through the history of criminal law, the crimes themselves, and specific legal procedures. * Every chapter offers opportunities to develop the real-world skills that students will need when they enter the workforce. 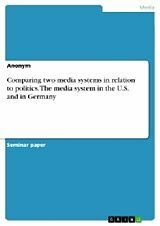 * The text's teaching resources are available online to download and include an Instructor's Manual, PowerPoint lecture slides, and a Test Bank. 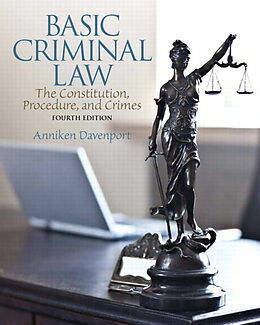 Basic Criminal Law: The Constitution, Procedure, and Crimes, Fourth Edition, offers a comprehensive, well-organized approach to understanding key legal concepts and to developing the essential skills and hands-on experience students will need as they enter the legal profession. The text’s teaching resources include an Instructor’s Manual, PowerPoint lecture slides, and a Test Bank. The text is rich with features that guide students through the history of criminal law, the crimes themselves, and specific legal procedures. Every chapter offers opportunities to develop the real-world skills that students will need when they enter the workforce. The text’s teaching resources are available online to download and include an Instructor’s Manual, PowerPoint lecture slides, and a Test Bank. 2. What is a Crime?